Flame Spreaders for Veritas lamps, Lempereur & Bernard (L&B) Brevette lamps (Belgian), and Imperial/Vulcan lamps are available from Alex Marrack in England. artmetalfinishers.com John McBride does some restoration, cleaning and polishing, AND does nickel plating of lamps! Contact John directly by email to ask what he can do for you. Highly respected lamp collectors have recommended John. JP- Tinsmith. Period Reproductions and Restorations of Argand, Solar and Sinumbra lighting. 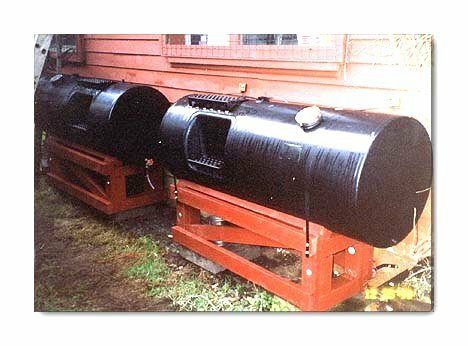 Antique Vintage Appliances Restored and unrestored vintage stove and referigerators. The Alexandria Lamp Shop, some parts, shades and lamp repair. 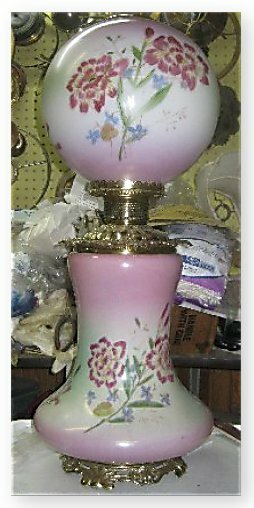 Facebook groups: Search Facebook for "Antique Oil Lamps" is new and well worth looking over. Your place for information on Vintage Perfection, Nesco, Valor, Florence Heaters and Stoves and others. E.M. Miller Lamp catalog #97, circa 1904 pdf format. 9.5 MB. True North Coleman Collectors Forum. Membership required. Anchor Oil Lamp Company, UK. Nautical Oil Lamps : Antiques oil lamps : Reproduction Lamps. Some history of Brit lamp makers. LUMIERE DE L'OEIL, Paris - a "must see" web site for lamp enthusiasts. Burners for kerosene lamps- in English(!). Base Camp. Parts for lamps in the UK. Also parts for POD heaters and new Ruby heaters, etc. An excellent source in the UK for many things fueled by "paraffin" (kerosene). DPS The Pittenspecialist. Glass for Haller Saffire / Facetta, wicks for Clarus heaters, an amazing resource in the Netherlands. Edward Miller web site (private) from Germany, with fabulous photos and information. You may need Google Translate. Lanterns from around the world, an excellent collection of restored lanterns photographed very well. THE LOVELAND COLLECTION photos provide an excellent resource for identifying odd lanterns with some history of each one. Lamp shades and chimneys for many lamps including old and odd sizes, such as W&W and other Victorian Era lamp. John Moncrieff Lighting, UK. Frei's Petrollampen: Petromax, Aladdin, Kosmos lamps and repair in Switzerland. For information, contact info@prela.ch Website in German. Parts for old German lamps. Site is in German. 1911 Goldberg lamp catalog. In German. Lamp identification through wick knob indicia. Site in German. Lamp identification - wick knobs. Site in English. Lamp Identification through wick knobs. Translated from German. Lamp wick knobs, mostly British lamps. http://petroleumbrenner.de/rundbrenner.htm - German burners illustrated and identified.